Our organization has gained recognition as an eminent manufacturer and supplier of an excellent quality array of Hot Air Heaters. To fabricate this array in conformity with the defined industry standards, we make optimum utilization of excellent quality basic material that is procured from the authentic vendors of the market. Due to corrosion resistance, optimum efficiency, longer functional life and reliable performance, these heaters are extremely valued by our clients. 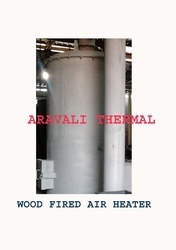 ARAVALI THERMAL manufactures Horizontal Air Heaters which are highly efficient, economical, compact in sizes with minimum running/maintenance cost. The Horizontal Air Heaters are available in fuels likes Oil & Gas. 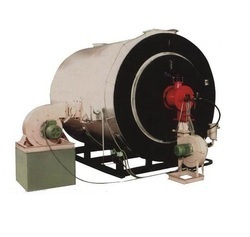 The Air Heaters are fitted with Imported Centrifugal Blowers of medium/ high volume and static pressure of reputed makes. The blowers are statically and dynamically balanced as per AMCA standards. Bearings of the blowers have a longer life. The fans are highly efficient and noiseless. We use imported BURNERS of reputed makes having high efficiency with minimum running cost. The components used in the burners are of reputed make of foreign countries. The outer frame/body of the AIR HEATERS is fabricated in Mild Steel. The furnace chamber of the Heat Exchanger is fabricated in stainless steel for a longer life and high efficiency to sustain at a high temperature. We also make VFD based Control Panel using Electrical items/Motor/VFD of reputed makes. 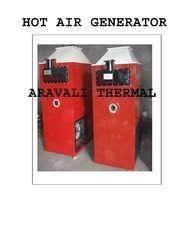 Aravali Thermal Air Heaters can be used for various applications including Rotogravure Printing, Flexo Printing, Lamination, Coating, Pharmaceutical Industries, Carpet, Food Industry, Gutka/ Supari, Central Heating etc. Wood Fired Air Heater are arranged at downstream of the economizer as the last heat recovery section. These Wood Fired Air Heaters are highly appreciated for its excellent durability, corrosion resistance and energy efficiency. The outer frame/body of the Wood Fired Air Heaters is fabricated in Mild Steel. The furnace chamber of the Heat Exchanger is fabricated in Stainless Steel for a longer life and high efficiency to sustain at a high temperature. These are recuperative type heaters with fuel gas flowing inside the tubes and the combustion air flowing over the tubes. TheseGas Fired Hot Air Generator are highly appreciated for its excellent durability, corrosion resistance and energy efficiency. The offered range is available in multitude of capacities. The Air Heaters are fitted with Imported Centrifugal Blowers of medium/ high volume and static pressure of reputed makes. The Furnace Chamber of the Heat Exchanger is fabricated in Stainless Steel for a longer life and high efficiency to sustain at a high temperature. These are recuperative type heaters with fuel gas flowing inside the tubes and the combustion air flowing over the tubes. These Air Heaters are highly appreciated for its excellent durability, corrosion resistance and energy efficiency. The offered range is available in multitude of capacities. The Air Heaters are fitted with Imported Centrifugal Blowers of medium/ high volume and static pressure of reputed makes. The Furnace Chamber of the Heat Exchanger is fabricated in Stainless Steel for a longer life and high efficiency to sustain at a high temperature. Hot Air Generator designed for maximum efficiency using a variety of liquid and gaseous fuels. It is designed with fuel flexibility in mind and can fire a range of heavy oils, light oils and gases. It allows high and medium process temperatures without operating pressures.